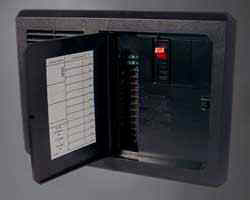 Accepts up to 5 branch circuit breakers. 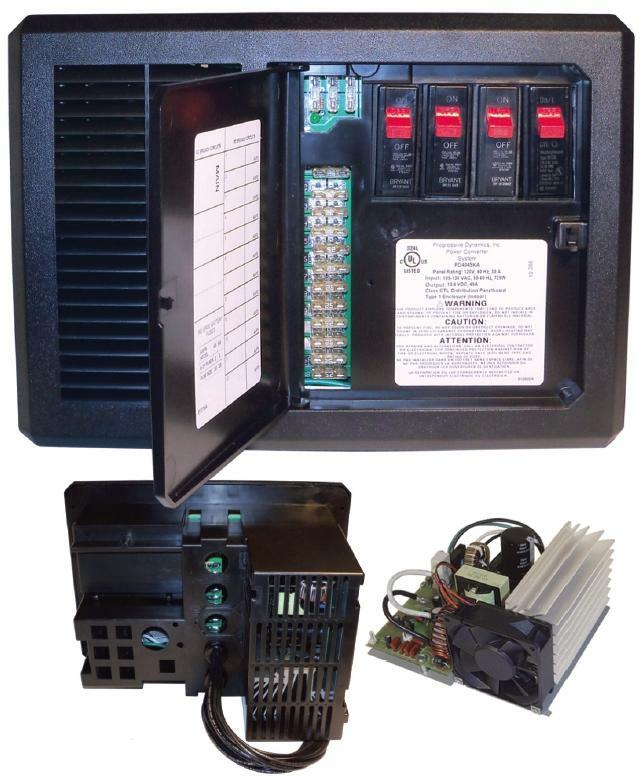 Note: 30 AMP main breaker and AC breakers are not included and shown for reference only. Converter/Charger ratings of 45 AMP. The Inteli-Power 4000 Series Mighty Mini is pre-wired for easy installation. Snap lock cover stays shut while traveling. Opens with a touch. Attractive design with fine textured finish. Special formulation plastic is very durable and engineered for use in higher temperature applications. Inteli-Power 4000 Series Mighty Mini models can recharge the battery to 90% in 2-3 hours using our patented Charge Wizard® technology. *Retail and OEM Part Numbers will be determined by your selected options when you place your order.